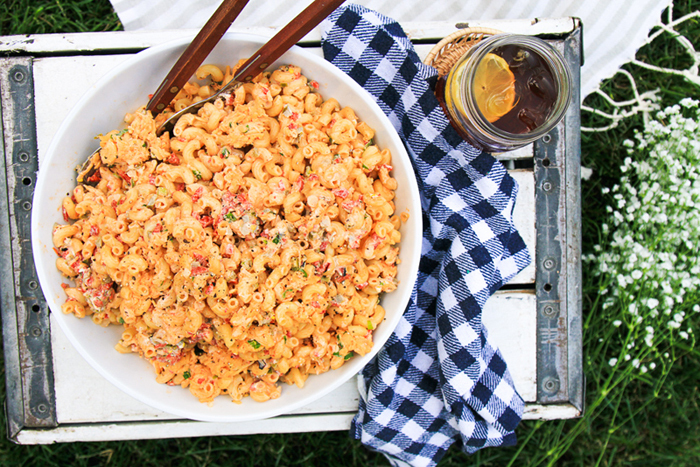 A side dish with a serious Southern flair, this pimento macaroni salad combines two classic recipes into something hearty and tasty! 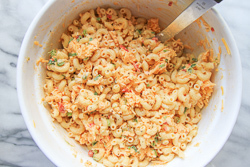 Very cheesy with just a tad of spice, this macaroni salad will be a winner at picnics and potlucks all summer long. 1. 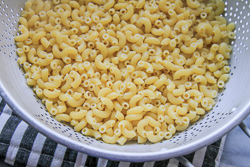 Boil the elbow macaroni until al dente, drain, rinse, and let the cooked pasta continue to drain and cool in a colander. 2. Meanwhile, prepare the pimento dressing. 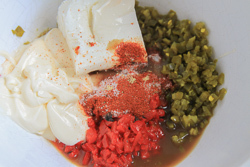 Combine the softened cream cheese, mayonnaise, vinegar, Worcestershire sauce, hot sauce, diced pimentos, diced pickled jalapeños, grated onion, and spices together. 3. 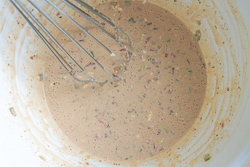 Once the pasta has cooled completely to room temperature, stir in the pimento dressing tossing to combine. 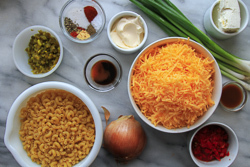 Add the shredded cheese and sliced scallions; mix until combined. Refrigerate until ready to serve.